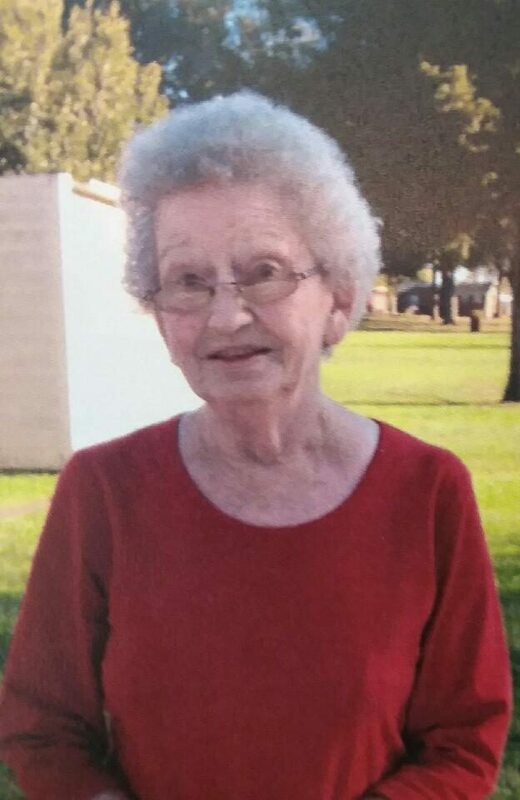 Mrs. Ella Alice Haney Westbrook, 80, of Hernando, MS passed away Saturday, November 10, 2018 at her residence in Hernando. She was born October 9, 1938 in Panola County, MS to the late James Howard Haney and Alice Viola Wilkey Haney. Mrs. Westbrook was a homemaker, who cherished being able to take care of her home and family. She was happily married to the late Mr. Grady Olen Westbrook, Sr. for sixty-two years. She was a devoted wife and mother, and she always put her family first before anything else. She loved and treated her brother in laws and sister in laws just like she did her own siblings. You would never hear Mrs. Westbrook speaking an ill word about anyone. She also never sided with anyone during an argument just because they were family, she always sided with the person who was in the right. In the eyes of her family, especially her children, she was perfect. Mrs. Westbrook possessed a smile that could light up a room. She loved being around her friends and family whenever possible. She loved flowers and gardening and was an avid collector of windchimes. She enjoyed going out to eat, especially to her favorite restaurant the Grand Buffet, and to the auctions. Mrs. Westbrook was as loved, if not more, by as many people as she loved and will be forever missed by those whom she shared her life with. Mrs. Westbrook leaves behind one son, Grady Olen Westbrook, Jr. and his wife, Sherry of Navarre, FL; one daughter, Sandra Henderson and her husband, Greg of Memphis, TN; one brother, Thomas Haney of Odessa, TX; three sisters, Louise Manley of Hernando, MS, Betty Jo Perry and her husband, Billy of Palmetto, FL, and Dora Blair of Graham, TX; three grandchildren, Karry Westbrook Gardner, Terry Henderson, and Brent Henderson; four great-grandchildren, John Thomas “Tommy” Erwin, Austyn Erwin, Alyssa Gardner, and Maleia Gardner. Mrs. Westbrook also leaves behind a host of loving nieces, nephews, and other family. She was preceded in death by her loving husband of sixty-two years, Grady Olen Westbrook, Sr.; parents, James Howard Haney and Alice Viola Wilkey Haney; two brothers, Jimmy Haney and James “Buddy” Haney; one sister, Mary Swan; and granddaughter, Hannah Henderson. Visitation will be held Thursday, November 15, 2018 from 10:00 AM to 12:00 PM at Twin Oaks Funeral Home (290 Goodman Rd E, Southaven, MS 38671) with the funeral service following at 12:00 PM in the chapel. Interment will be held at Twin Oaks Memorial Gardens in Southaven, MS. Bro. Gerald Castilo will officiate the services. My condolences to the family … May you find comfort in Gods promise at Acts 24:15 that gives us a hope of seeing our love ones again when they are resurrected.